The Roku box is now the most popular video media device in the US according to a recent study from research firm Park Associates. Their survey found that 37 percent of households that use a streaming media player primarily use a Roku compared to just 24 percent that rely on an Apple TV for their streaming needs. All others – including the Boxee and smart TVs – combined to bring up the rear. 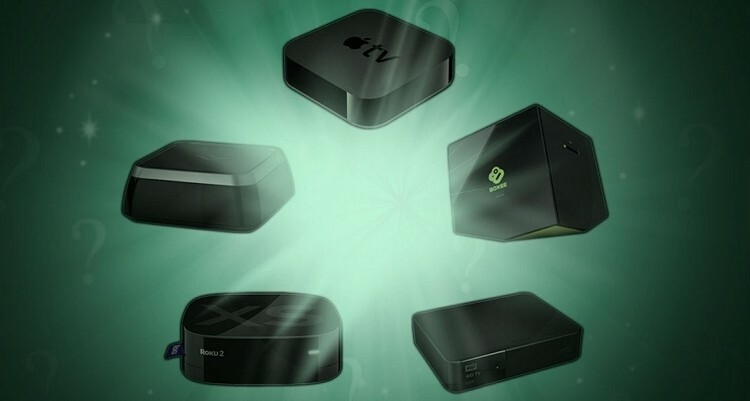 Deciding between the two streaming boxes can be tough as each have their own pros and cons. For example, the latest Roku device features a wider selection of streaming apps and even includes a special remote control with a headphone jack. This allows the user to listen to their show without disturbing others in the room – a feature that could go a long way in a shared bedroom or a dorm room. What the Roku doesn’t have, however, is a feature that allows users to wirelessly beam streaming content from a smartphone, tablet or PC. It’s a key selling point for Apple TV and more recently, Google’s new $35 Chromecast dongle. The latter device plugs directly into your television’s HDMI port and allows you to stream from Google Play, Netflix and YouTube from an Android or iOS device as well as your PC. Roku seems to be well aware of their shortcomings as a recent update enabled users to push videos and photos from a phone’s camera roll to their television. This of course isn’t nearly as fruitful as being able to stream television shows and movies but it’s a start.